From exotic eastern pagodas to ancient Groove-Ware pottery, multiple-level structures form a deeply traditional silhouette. 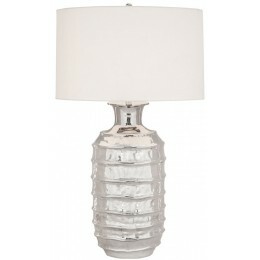 Yet our Plata series table lamp, with its "tiers" of lustrous, free-form-esque furrows, feels fresh and contemporary. 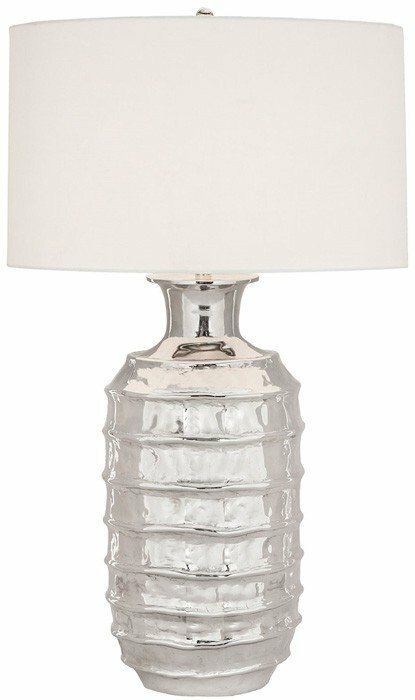 Features a chic polished nickel color story and elegant white linen shade. Pair this one with an heirloom dresser and a bowl of fresh citrus.